Patient self-parking is available in the parking lot across from the Shiley Eye Institute (P760) and in the Athena Parking Structure (located at the intersection of Medical Center Drive and Health Sciences Drive). Patient parking is permitted only in the numbered stalls. When parking, please note the number indicated on the ground and pay using the pay station in the parking structure OR at the front of the Shiley building. Cost: $4 for the first two hours and $1 for each additional hour up to $8 maximum per day. Exact cash (no coins) and credit cards accepted. There are parking spaces for disabled patients in lot P760 and on each level of the Athena Parking Structure. Disabled patients with a handicap placard can park free of charge in any available parking spot except for RESERVED, please make sure the placard is clearly visible. Exit Genesee Avenue and head east (away from the ocean). Continue through several traffic lights and turn right onto Campus Point Drive. 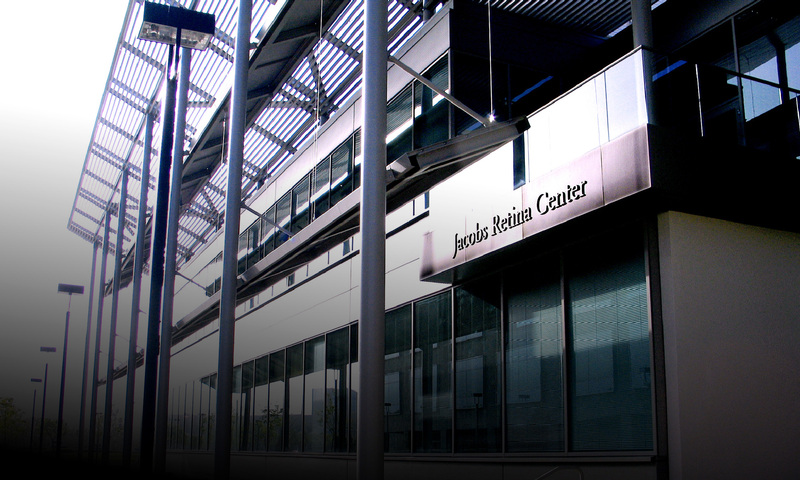 Pass Voigt Drive at the traffic signal and at the stop sign the Jacobs Retina Center will be on your left. Exit at La Jolla Village Drive/Miramar Road. Turn west onto La Jolla Village Drive (towards UTC Shopping Center). Turn right onto Genesee Avenue. Continue through several lights and turn left at Campus Point Drive. Pass Voigt Drive at the traffic signal and at the stop sign theJacobs Retina Center will be on your left.